After the visit to Bhutan last year, I was convinced that I was not going to see hills or mountains so green ever again. 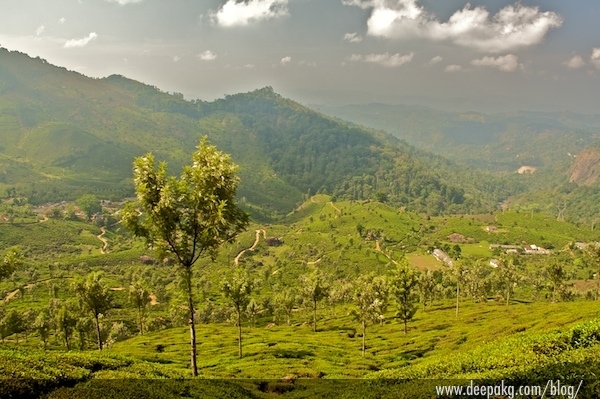 The hills at Munnar might lack the grandeur of Eastern Himalayas, but when it comes to verdure and biodiversity they are an equal match. 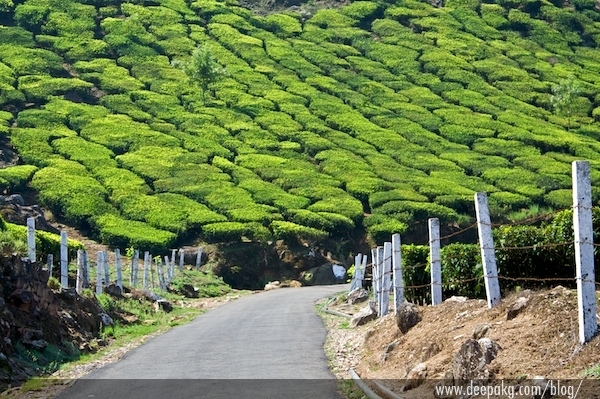 We took a flight from Bangalore to Cochin and then took a cab to Munnar. 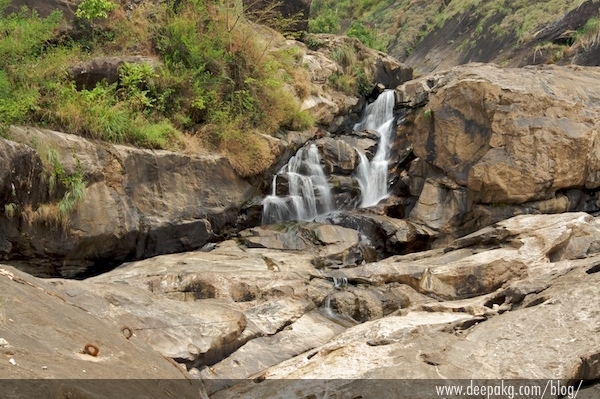 Though just a little over 150 km from the airport, it takes close to 4 hours to negotiate the serpentine, hilly roads. The roads were in good shape throughout but the numerous sharp turns left my head reeling. Cochin was hot and humid and I had no idea how things were supposed to get any better just under a couple of hundred kilometers up the road. 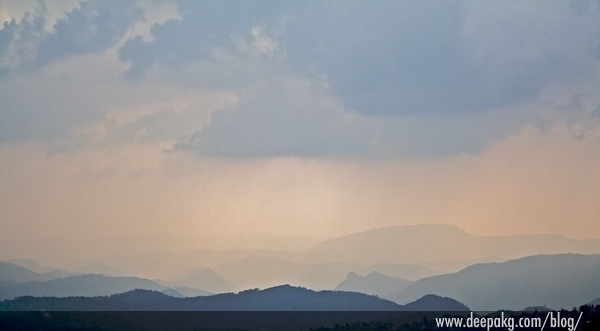 But things changed remakrably fast and once we were in the hills the air turned cool and refreshing. We stayed at the Tea Valley Resort. 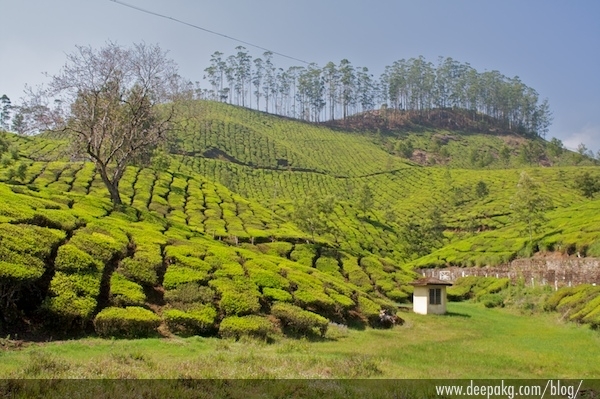 Our room offered beautiful views of the hills and tea plantations in the valley below. We had reached late in the afternoon and after a quick lunch, found ourselves longing for a siesta. The weather too was conspiring to put us to sleep. Shortly it started raining. The thunder and the sound of the rain formed a perfect backdrop for our slumber. Next morning was sunny but pleasantly cool. 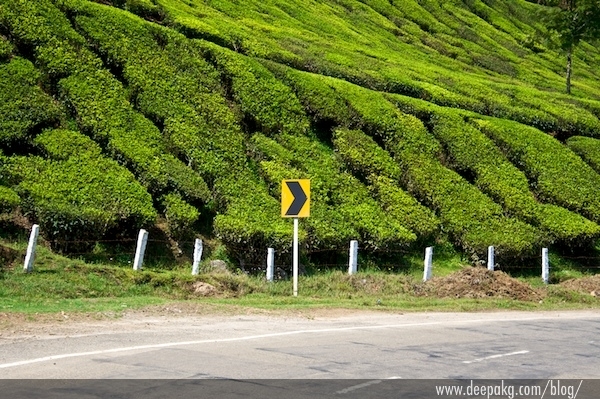 We went for a long walk all the way to the main town - a walk that took us through tea estates and cardamom plantations. 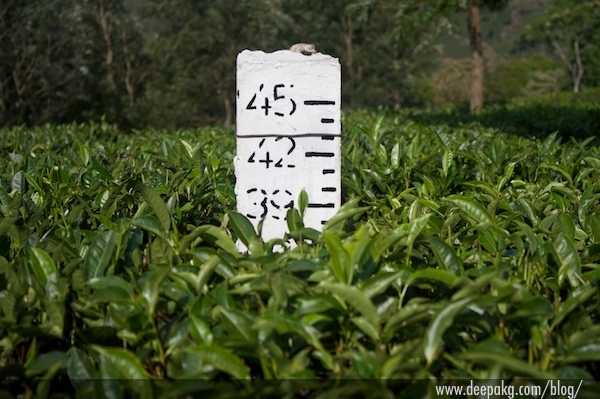 This scale for measuring the tea plants’ height reminded me of of the an Complan ad (“but I am growing mummy. 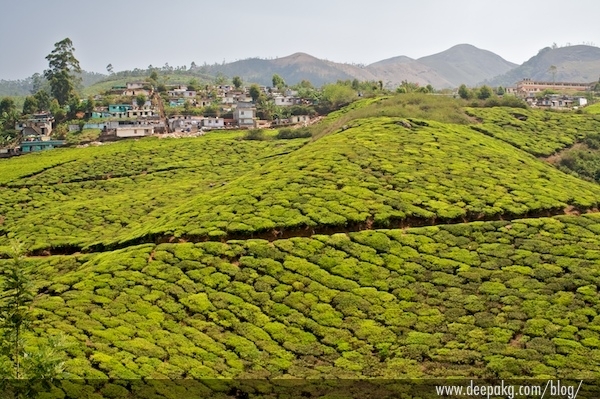 I am a Complan tea plant”). With Lok Sabha elections around the corner, the town was abuzz with political activity. 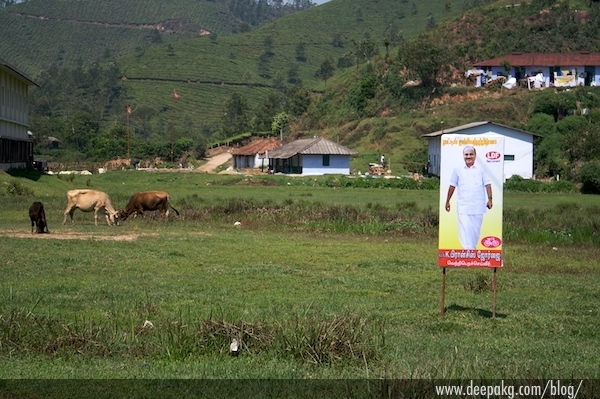 Posters of candidates vied for attention of both men and cows.